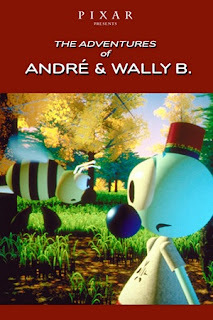 Beginning with Pixar's second film A Bug's Life, all subsequent Pixar feature films have been shown in theatres along with a Pixar-created short. 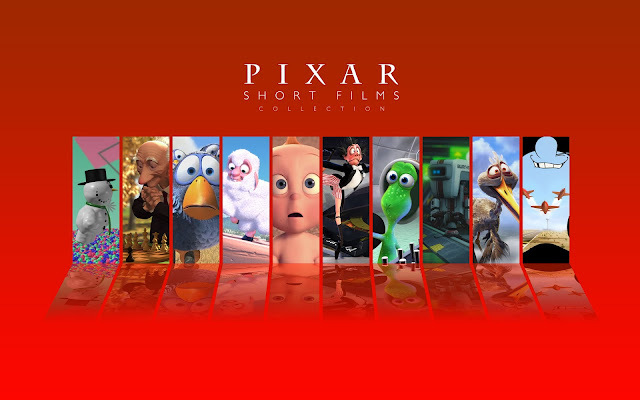 Other Pixar shorts, released only on home media, were created to showcase what Pixar can do (either technologically or cinematically), or were created specifically for a client. The first shorts were made while Pixar was still a computer hardware company, when John Lasseter was the only professional animator in the company's tiny animation department. Starting with Geri's Game, after Pixar had turned into an animation studio, all later shorts have been produced with a larger crew and budget. In 1991, Pixar made four CGI shorts produced for the TV series Sesame Street. The shorts illustrates different weights and directions starring Luxo Jr. and Luxo - Surprise (1992), Light and Heavy (1990), Up and Down (1993), and Front and Back (1994). Also, beginning with A Bug's Life, Pixar has created extra content for each of their films that is not part of the main story. For their early theatrical releases, this content was in the form of "movie outtakes" and appeared as part of the movie's credits. For each of their films since Monsters, Inc. (Finding Nemo, Toy Story 3, and Monsters University excluded), this content was a short made exclusively for the DVD release of the film. As of 2010, all of the short films except BURN-E and Dug's Special Mission are available to purchase on Apple's iTunes Store. 1. The Adventures of André and Wally B.